Today we gratefully picked up a donation of soil conditioner and topsoil from the Dickson Lowe’s – a pallet of each. 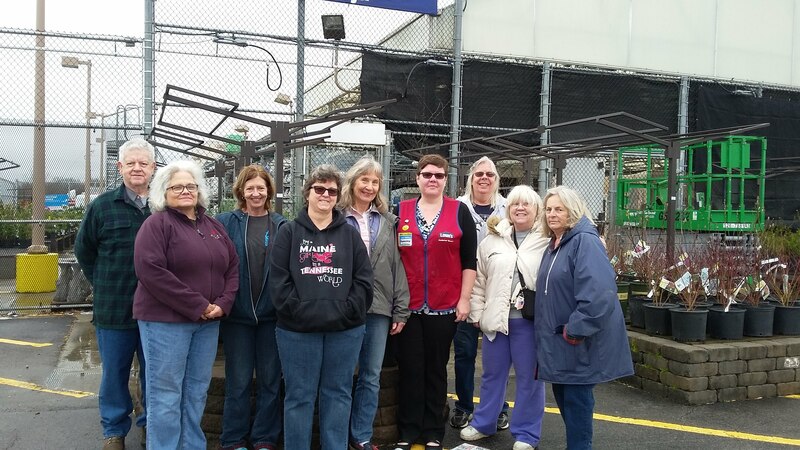 Lowe’s makes donations to area organizations that are committed to the community and Gardening Partners qualified. We especially enjoyed working with Tammy Stewart, she was so helpful and professional. 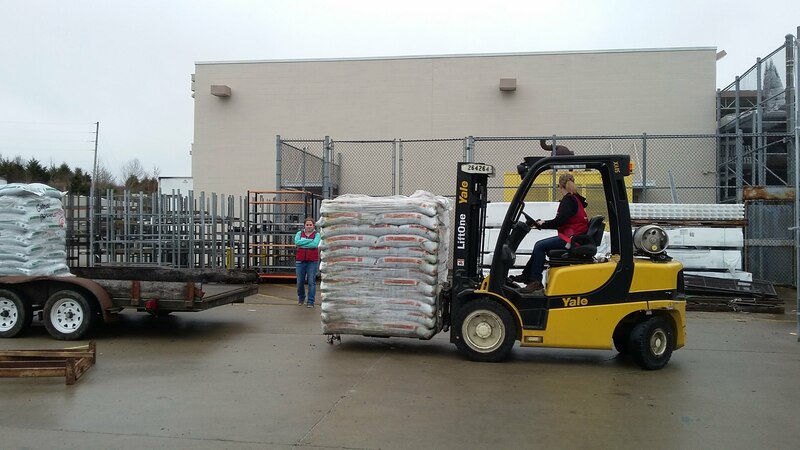 Lowe’s employees worked hard to load the pallets for us onto a trailer. We thank Lowe’s for their generosity; this will further our goals enormously. 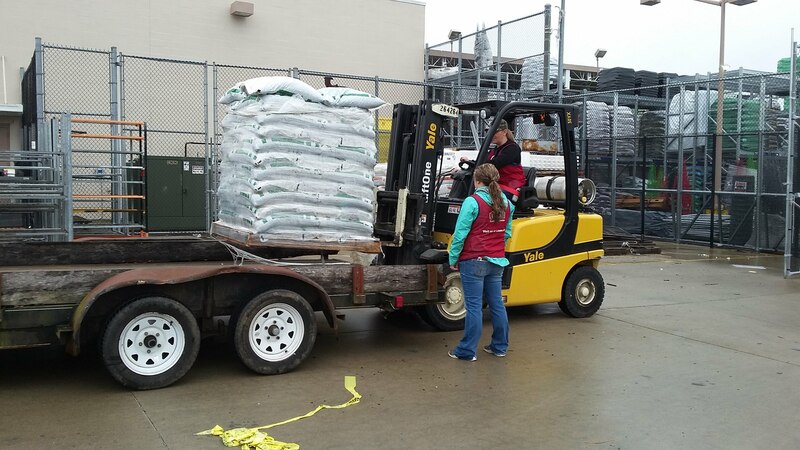 Thanks to our band of volunteers who showed up with trucks and a willingness to work hard to unload the bounty in wet weather. All hands were very much appreciated. Some crew members stayed over to begin mixing soil and using it to good effect.